Editor's note: Our Splash Health, Wellness and Wearables event is coming up on March 23 in San Francisco. We'll have Sean Duffy (Co-Founder & CEO, Omada Health), Owen Tripp (Co-Founder & CEO, Grand Rounds), Mario Schlosser (Founder & CEO of Oscar Health), Brian Singerman (Partner, Founders Fund), Steve Jurvetson (Draper Fisher Jurvetson), J. Craig Venter (Human Longevity), Lynne Chou (Partner, Kleiner Perkins), Michael Dixon (Sequoia Capital), Patrick Chung (Xfund), Check out the full lineup and register for tickets before they jump! If you want to invest as little as $2500 in our startup winners. Join the Vator Investment Club (VIC). As our readers know, Vator has started a series called When they were young. It's a look back at the modest days of startups, what traction they had in their first few years, and how they evolved. In the end, we hope to provide a glimpse into what great startups looked like in their first three years. Stories like these are always well received because it reminds us that anyone, regardless of pedigree and environment, can rise above the noise and have great influence. They show us the value of being resilient, persistent, and committed. If we can follow their footsteps, maybe we too can have similar success. My last segment in this series focused on Oscar. This segment is on Omada Health. 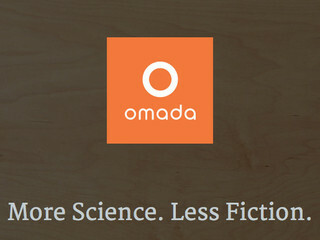 Screenshot of omadahealth.com in November 2011 via Wayback Machine. 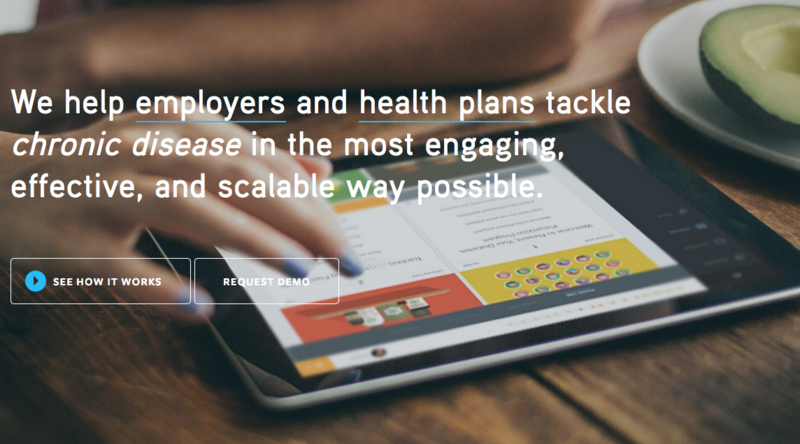 Founded: In June 2011, Rock Health, a new (at the time) San Francisco incubator focused exclusively on healthtech companies, annouced its first class of eight startups, including Omada Health. Similar to graduates of Y Combinator and other incubators, Omada received a $20K grant, office space, and other basic business support as part of participation in the five-month program. Initial company description: "We’re revolutionizing health care through group-based programs for chronic disease prevention. Focused disease prevention is the next great opportunity in health. We’re combining behavioral science, human-centered design, and new technology to transform disease prevention, while building from established clinical precedent." While its company description spoke of addressing chronic diseases in general, Omada's first efforts were focused on diabetes. In 2012, the CDC said 29.1 million Americans (9.3 percent of the population) had diabetes. But Omada would set its sights on prevention: In 2012, the CDC said 86 million Americans age 20 and older had prediabetes, up from 79 million in 2010. Traction - at five months from founding: In November 2011, Omada officially graduated from the Rock Health accelerator program. At a demo day hosted at UCSF Mission Bay in San Francisco, the company and a dozen of its peers presented their work to 250 attendees, including investors from several prominent venture capital firms. Second funding - at six months from founding: In December 2011, Omada secured $800,000 in seed funding from several investors, including New Enterprise Associates (NEA), Aberdare Ventures, Kapor Capital, TriplePoint Ventures, and angel investor Esther Dyson. The company said it planned to use the new funding to "hire two Rails developers and run a sequence of larger pilots to test and iterate our concept," according to CEO Sean Duffy. "We have run two prototypes [of our system] so far but are not making numbers [concerning how many users we have] public at this point." 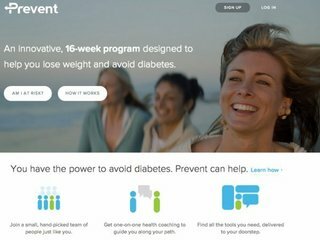 Launch - at one year and six months from founding: In December 2012, Omada launched Prevent, marketed as the "first-ever online diabetes prevention program for the general public.” Priced at $120 per month, the four-month program used a combination of interactive web content, access to a health coach, social support, and digital tracking tools to encourage people at risk of diabetes to make lifestyle changes. CEO Sean Duffy said Omada's pilot study resulted in an average weight loss of 13.7 pounds after 16 weeks. The company's program was designed to complement existing efforts by the National Institutes of Health (NIH) through its Diabetes Prevention Program (DPP). 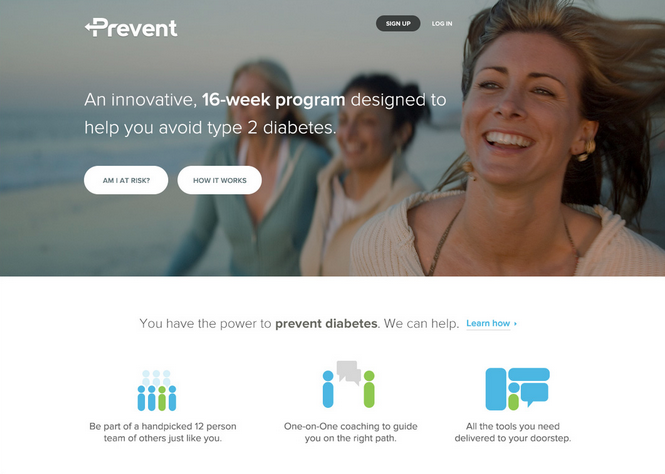 Competition - at one year and seven months from founding, one month from launch: Omada wasn't the only startup taking on diabetes. 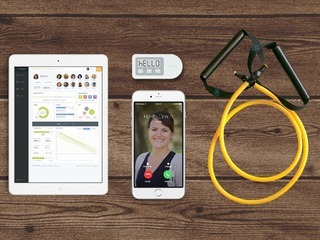 In January 2013, Glooko received FDA approval for Logbook Charts, its iOS app for tracking diabetes metrics, allowing the company to expand its product from Europe to the U.S.
Third funding - at one year and nine months from founding, three months from launch: In March 2013, Omada raised $4.7 million in a Series A round led by U.S. Venture Partners with participation from The Vertical Group, Founder Collective, and existing investors (NEA, TriplePoint, Kapor Capital, and angels). The company said it planned to use the new funds to support the "commercial" rollout of Prevent, which had launched three months earlier. This was the first indication that Omada would seek to sell its product to enterprise customers instead of individuals. “It took me a year to figure out how the dollars flow in health care,” said Duffy at the time. Omada planned to run pilots with two health care providers and deploy Prevent to a customer in May. Traction - at two years and three months from founding, nine months from launch: In September 2013, Omada reported that approximately 2,000 people would go through its program that year. Duffy said he hoped to have between 10,000 and 20,000 people enrolled through 2014. Fourth funding and traction - at two years and 10 months from founding, one year and four months from launch: In April 2014, Omada secured a $23 million Series B funding round led by Andreessen Horowitz, with participation from Kaiser Permanente Ventures and existing investors. Though the company wouldn't disclose total number of users, it said it had 10 enterprise customers using Prevent for their employees. 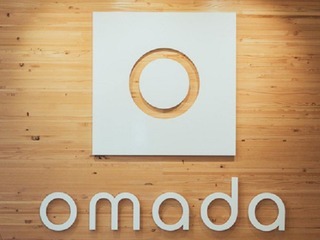 At the time, Omada had a headcount of 30 full-time staff with plans to double that by the end of 2014. 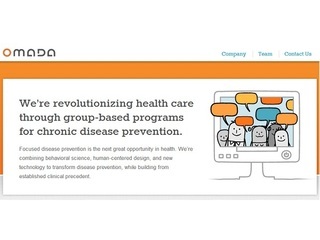 As with the Series A round, the Series B round was raised to continue fueling the Prevent program (through accelerated hiring and new products), but Omada also said it planned to expand into new prevention programs for other chronic conditions by 2015.
Business model - at three years and four months from founding, one year and 10 months from launch: In October 2014, Omada CEO Sean Duffy spoke with VentureBeat about the company's business model. Though, in its earlier days, Omada had sold its program directly to individuals, Duffy by this time insisted that the company was committed to the enterprise model. According to the interview, Duffy said selling individually would lead to a high price point, ultimately shutting lower-income people out of the equation. 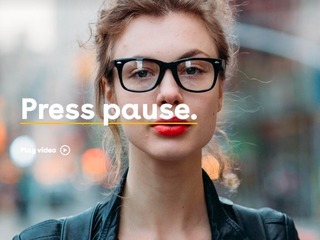 Traction - at three years and eight months from founding, two years and two months from launch: In February 2015, Fast Company reported that Omada Health "grew 10 times last year." Though the piece didn't clarify this at the time, Omada has confirmed for me that it refers to revenue. Since its founding in 2011, Omada has raised $77.5 million in venture funding, more than half of that from a $48 million round in September 2015. Last month, Steve wrote about the company's unique business model, which charges employers only when users successfully lose weight. If the user has lost two percent of their weight, Omada charges 2x its fee; if they have lost four percent, then the company charges 4x; and so on. Using a base charge of $10, for example, and a patient who has lost two percent of their body weight, Omada would earn $20. The model makes great sense for Omada and employers. An individual with type 2 diabetes costs at least $10,000 a year, but a five percent weight loss reduces the risk of getting the disease by 70 percent. Under employer health plans, that could lead to thousands of dollars in savings. As it was originally, Omada's Prevent program lasts four months, though each employer must sign a yearlong contract. Though Omada's marketing materials suggest otherwise, the company still largely focuses on diabetes prevention. However, Omada maintains that its mission is to "inspire and enable people everywhere to live free of chronic disease." Omada Health is a Silicon Valley startup that is bringing the best in design and web technology to health care delivery. Omada's team is an interdisciplinary group of technologists, entrepreneurs and clinicians from Google, Amazon, IDEO, Harvard, Stanford and Columbia who are passionate about creating accessible technology to prevent disease. 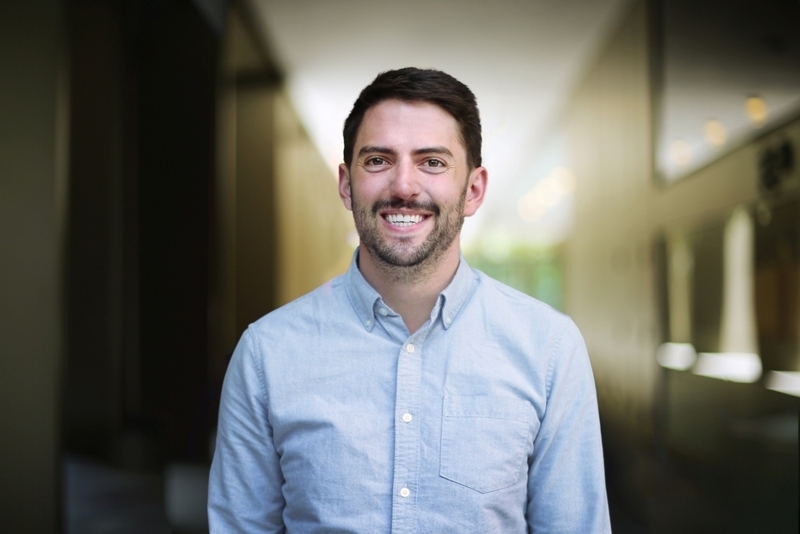 Sean Duffy is the co-founder and CEO of Omada Health, a digital behavioral medicine company dedicated to inspiring and empowering people everywhere to live free of chronic conditions like heart disease and type 2 diabetes. 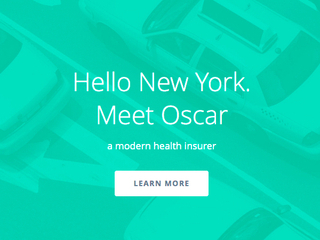 How does Omada Health make money?